I’ve decided that I’m going to be kinder to myself in 2019 and intersperse a few of my own titles amongst the titles that I have review commitments for. I’ve included THREE this month! Does a reading ‘PLAN’ help you read more? 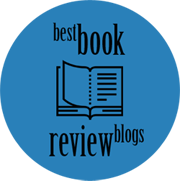 This entry was posted in Choosing what to read next, Fictionophile report and tagged Fictionophile updates, TBR list. Bookmark the permalink. I have read Jar of Hearts and I did enjoy it. Good luck sticking to your TBR. I wish I could do that. Me too Carla. February is such a busy month in our house and it is a short month too. Don’t know if I can do it. Just enjoy! Take the time to relish all the moments, especially with the grandbaby, but I know you will. Many of these sound great!!!!!!!!!!!!!! Her Dark Retreat sounds terrific, and I’m reading Dead Simple right now. Ew… hope you are enjoying it Skye. Eleven is great! More is always better if you can manage it, right? I’ve been making a list for myself, and accepting it as a best-case scenario rather than a task list. This way, I have a plan, but it feels less stressful and I feel good when I make progress. 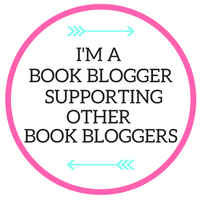 Like you, I’m trying to be kinder to myself, and allowing more room to read books from my own shelves and/or TBR. As behind as I am on my review commitments, I’ve got to find some sort of balance. Jar of Hearts is AMAZING. Very unique perspective that you don’t normally get. Can’t wait to see your thought when you do! I really enjoyed The Chalk Man by CJ Tudor so look forward to hearing what you think about The Hiding Place! I really enjoyed Jar of Hearts. As of last month, I started planning. But only in a notebook. I would find it too stressful if I planned online! 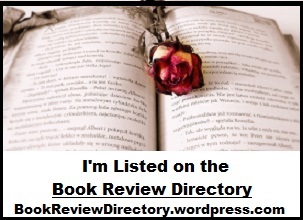 I enjoy taking part in them as it’s one of the ways I discover new authors. I think the secret is finding the balance that’s right for you. 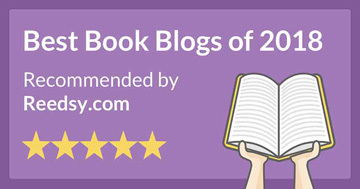 When I started blogging I was convinced you weren’t a ‘proper’ book blogger unless you were on loads of tours because that was what I was seeing on other blogs. (I still don’t know how some of them manage to be on blog tours almost every day seemingly.) I’ve weaned myself down to no more than two per week but I also take month long complete breaks from tours and I’m very selective about the tours I sign up for. Sounds like a wise method Cathy. I never tried having a reading plan, but it is something I am considering to implement in the hopes of reading more often. Congrats on reading that many books! I feel so motivated to read more this month. You amaze me. And at this point in my life that’s kinda hard to do. So, your secret to getting so much done is: You don’t sleep. That’s the only explanation I can come up with. P.S. And you still have time to indulge your love of bourbon (I forget the brand you like). Thanks Andrew. 😉 and it is whisky…. Caldera whiskey. Good luck with this! I use a spreadsheet for my review commitments and always have plenty of other novels ready to slip into any gap which may appear! None of these are on my TBR, nor have I read any of them. The Hiding Place is getting some good publicity, though. Thanks Davida. I’m looking forward to reading it as I really enjoyed reading “The Chalk Man”.